z390 v1.4.03b has the latest structured SPM's in the z390\mac directory. Also included are translated versions of all the structured SPM's in the mac\spm directory. The translated version are for use on systems with HLASM or other mainframe assemblers which do not yet support the SPE's. Using the SPM's and SPE's you never have to code another unconditional branch in macro code or assembler! linklib\ZSTRMAC.ZSM - structured translator which can be translated to standard HLASM compatible code using itself on z390 v1.4.03+ or using the bootstrap version which is HLASM compatible rt\test\STRMAC1.MLC. Using either method, the generated HLASM compatible translator is here linklib\ZSTRMAC.TXT. ZSTRMAC.BAT - command using %1 to set SYSUT1 input and %2 to set SYSUT2 output and translate structured macro assembler to standard HLASM macro assembler. 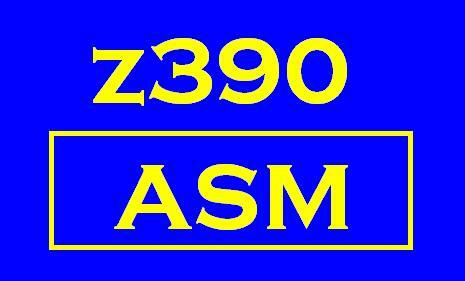 ZSTRSPM.BAT - command to translate all the SPM's in z390\mac directory to HLASM compatible code versions in z390\mac\spm directory using calls to the ZSTRMAC.BAT translator command. rt\test\ZSTRMAC1.MLC - bootstrap version of translator written in standard HLASM. rt\test\ZSTRMAC2.ZSM - structured version of the translator which uses all the structures. rt\test\TESTSPE1.ZSM - test program for ZSTRMAC1 with all the basic structures. These macros have been updated from the original public domain macros in the SHARE CBT tape #177 dated 1978. All these macros have been updated to use SPE structured programming macro extensions to eliminate all macro labels and use of AGO's. Also included are translated versions of all the structured SPM's in the z390\mac\spm directory. The translated version are for use on systems with HLASM or other mainframe assemblers which do not yet support the SPE's. linklib\FPCONMFC.MLC - interface between z390 BFP/DFP/HFP regression tests and the mainframe compatible external format conversion routine linklib\FPCONVRT.MAC contributed by David Bond. The ZSTRMAC1.MLC bootstrap conditional macro code program is the last unstructured macro code program I ever intend to write with 169 explicit macro labels. The structured version has no labels, and I would submit that it is significantly easier to read and maintain using ACALL to reduce the logic down into small logical blocks. Any and all feedback is welcome. Send comments and suggestions to Don Higgins.